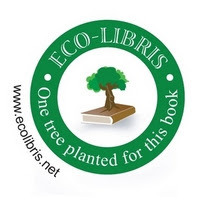 Eco-Libris blog: Is there a future for Barnes & Noble and Borders bookstores? Is it a green one? 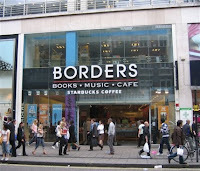 Is there a future for Barnes & Noble and Borders bookstores? Is it a green one? Can bookstores succeed in the digital age of eBooks and growing online purchases? And what will they sell exactly? will it be mainly books just like today? These questions are no longer asked just about independent small bookstores, but also about big book chains like Barnes & Noble and Borders. Today on our third part of our series on the future of the book industry (see part 1 and part 2), we discuss the future of book chains and explain why taking the "green" path is their best shot for success. The last couple of weeks were full of interesting news in both chains. In March, in what the Wall Street Journal described as the most dramatic management change since it went public in 1993, B&N named 39-year-old William Lynch, a newcomer with Silicon Valley roots, as chief executive. And last week Borders announced that Bennett LeBow, chairman of tobacco holding company Vector Group, is buying a 15.5% stake in the book seller for $25 million (He could later increase his stake to 35%). These moves were the latest indication of the pressures both B&N and Borders are dealing with and their attempt to meet these challenges. Leonard Riggio, Barnes & Noble's 69-year-old chairman and largest shareholder explained it very simply - "The store model is under pressure, whichever way you look at it." And he's right of course, just look at the figures. According to Bowker PubTrack, Chains like Barnes & Noble and Borders account for about 27% of the market, where online purchases account for 20%. 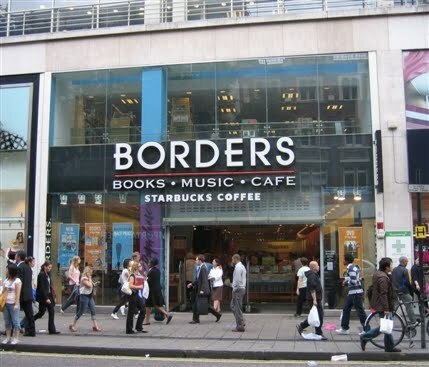 These figures show a shrinking market share for the big book chains and you can see it also on their sales figures - Borders saw same-store sales decline 14% at its superstores for the quarter ended Jan. 30. 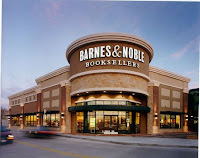 And B&N reported on February 2010 that "store sales decreased 4.7% to $1.4 billion, with comparable store sales decreasing 5.5% for the quarter" and estimated that "for the fiscal 2010 fourth quarter ending May 1, 2010, comparable store sales at Barnes & Noble stores are expected to decline 2% to 4%." 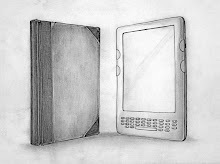 The future brings with it further challenges - The Wall Street Journal quotes Mike Shatzkin, chief executive of the Idea Logical Co., publishing consultants, who predicts that "by the end of 2012, digital books will be 20% to 25% of unit sales, and that's on the conservative side. Add in another 25% of units sold online, and roughly half of all unit sales will be on the Internet." Now, this might a problem if you own one or two bookstores, but it is a MAJOR problem if you operate 723 bookstores like B&N (not including Barnes & Noble College Booksellers, a wholly-owned subsidiary of Barnes & Noble, that operates 639 college bookstores) or 511 bookstores like Borders (not including 175 mall-based and other small format bookstores, including stores operated under the Waldenbooks, Borders Express, and Borders Outlet names). Not that B&N and Borders don't try harder on the online front - both either launched (Nook) or will launch soon (Kobo) their electronic book readers and put a lot of effort to improve their online presence. But still the bottom line is very simple - the majority of their revenues are generated from bricks-and-mortar bookstores. 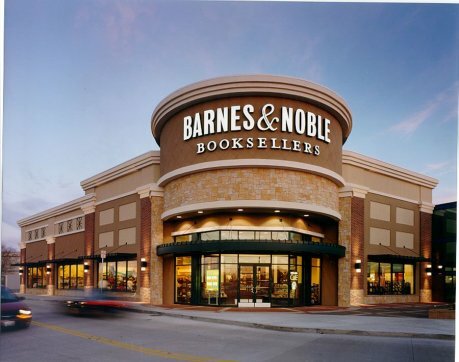 So what should B&N and Borders (and other book chains of course) do with these stores? Are these over 2,000 bookstores continue to be assets or they begin to look like a huge liability? Is it a risk or an opportunity in the digital age, where we have companies such as Netflix or Amazon that are a huge success without even a single brick and mortar store? Selling a variety of merchandise, other than books - Mr. Riggio tells the WSJ that "I would say that there's nothing we wouldn't put under consideration, although it's safe to say we won't have pots and pans." Makes sense, But can B&N (and Borders that has similar ideas) can really compete with Best Buy, Wal-Mart, Target, Costco and other retailers? I can see why someone who is already shopping at Wal-Mart will buy a book there, but what will bring customers to buy a DVD or a laptop at B&N stores? will it be the price? the brand name of B&N? and will the B&N brand be enough to get them there? Support eReader and online sales - At B&N, as the WSJ reports, "customers can test the Nook and get free original in-store content...Other in-store perks include free Wi-Fi service and free cafe offers." But how many Nook readers will actually get to the stores because of these incentives? and what actual sales they'll make in the stores that they wouldn't have made at home otherwise? and what about 80%-90% of e-book readers that use other devices and can't download BN eReader software? Why should they find these offers attractive at all? But even if it's true, can you base your business on it? Will people buy themselves books when they go with their kids to B&N or to Borders, and frankly will it be enough to get them there inf the first place? You can hold books in a local public library for example and I can assure you kids can have much more fun there. Nice ideas, But can they generate revenues? Especially when there is a growing number of online resources for readers seeking to discover what's new, not to mention the growing number of authors that find that it's cheaper and sometimes more effective to have their book tours online. OK, so it's very easy to say what's wrong, but what's right? what changes in the business model can actually work when it comes to brick and mortar bookstores? 1. Redefine your goals - Indigo in Canada aims to transform into a "cultural department stores" and the new B&N CEO describes Barnes & Noble as "as much a technology company as we are a retail company", but is it enough to succeed in the long-run? How about setting what Adam Werbach called 'North Star goals' - "ambitious objectives that a company aspires to that may be very difficult or impossible to achieve and are aimed at solving a major global human challenge" (Triple Pundit). According to Werbach, a North Star goal should be optimistic and aspirational, can be achieved in 5-15 years, every employee can personally act on it, it connects to the core of your business and drives excitement and passion in your organization. 2. Plan and be prepared for change - somehow it looks like both Borders and B&N were caught by surprise by the digital revolution and its implications, although all the signs were there at least for the last 5-10 years. And the change can be described in one word: Sustainability. And both book chains should quickly adapt to this new reality, to the changes in business environment, customers behavior, resources and competition. And no, you don't need to ask Al Gore if it's true, you better ask your colleagues at Wal-Mart, Clorox, GE and Coca Cola and hear what they have to say about it. 3. Become part of the Gconomy - This concept was developed by Ron Gonen of RecycleBank, who describes it as follows: "The Gconomy is correcting a flaw in the development of modern economies...Towards the end of the 20th century, we discovered that the current processes and costs of producing and transporting these products and services were bankrupting the environment that sustains us. At RecycleBank, we are defining and building the 21st century Gconomy. It is a place where communities, companies and individuals are financially rewarded for positive green actions that create economic efficiencies." 4. Become the Mecca of "green" items - If you want to sell nonbook items and you don't plan to use a cost leadership strategy, then don't just sell a variety merchandise like other retailers - differentiate yourself by focusing on "green" items. 5. Extend your strengths into green innovation territories - if B&N (and maybe Borders as well) is becoming "as much a technology company as we are a retail company", how about becoming an incubator of "green" tech start-ups? It definitely got the space and the infrastructure and probably even the money to invest in such companies. Like with Betaworks in New York, or Y Combinator in the Silicon Valley, these incubators can become hubs of innovation that can contribute to B&N in many ways, not to mention the opportunity to generate return on investment. 6. Strengthen your connection with local communities - I'm not among those who think bookstores should become community centers, but I do think that they can provide important services for local communities that not only will strengthen their connection with the communities, but will also develop new sources of income. One example is involvement with local food networks and helping to improve the distribution of local food. It can start with hosting local farmers markets in their parking lots, becoming collection points for CSA programs, selling items on the stores from local farms, renting space on regular basis for local food vendors, transforming the coffee shops to local ingredients only places, etc . 7. 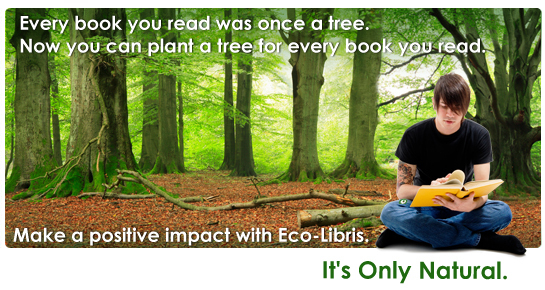 Become a center of "green" knowledge - here's another idea for effective and valuable use of the space in bookstores: take one floor in one store in every city and use it to provide "green" education and training programs in topics such as alternative fuel systems, sustainable design, green buildings, clean energy technologies and so on. The fact that the chains have stores all over the country can help them become a leader in "green" education, providing local residents with required knowledge and skills and generating further income. 8. Reduce the number of brick and mortar bookstores - It's inevitable. The current number of stores is based on an old and now irrelevant strategy. Although a new sustainable strategy will support many of the stores, it won't support them all. Less stores mean both a lighter footprint and reduced costs.